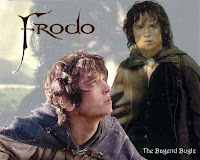 One of my favorite stories ever is the story of Bilbo and Frodo Baggins from the Lord of the Rings trilogy. 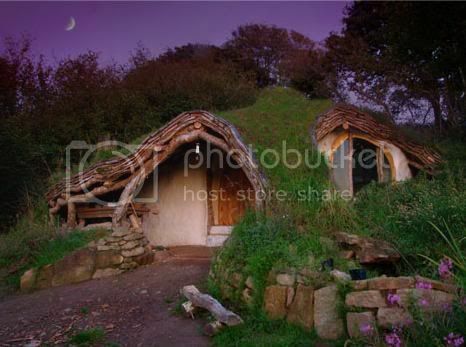 They are humble hobbits, living contentedly in their hobbit holes.Hobbits are very modest and orderly people, abiding by a set routine, and very much into the status quo. It’s no wonder that when Gandalf the Wizard interrupts their quiet routine and sells them on a grand adventure to save the world from the power of the ring, that they are taken quite aback. Nevertheless, first Bilbo, then Frodo, embark on an adventure with little certainty, little security, and a whole load of discomfort! I remember, in my 20’s, saying to myself that I did not want to live an ordinary life. Now, I have passed the 40’s threshold: I have children, I have the house in the burbs, I have my job/s. Sometimes, I feel like a comfortable hobbit living comfortable life in his hobbit hole. Yet, deep within me, is the yearning for the Adventure. It’s too often that I forget that humans are destined to be part of a great Adventure, to live life beyond the ordinary, to embark on a Journey that will change their character for the better, and that will make the world a better place. So, if you want to change the world, read on! I’ve been thinking, reading, and writing a lot about identifying and discovering one’s personal mission in life. I believe that the second book came out of an appendix in the back of What Color is Your Parachute. I resonate with Mr. Bolles’ writings because I write from a Christian world view, and much of this post is a summary of his writing on this topic of finding our personal mission in life. So, what is our mission in life? According to Mr. Bolles, there are three stages of personal mission. The first stage of our personal mission, no matter who we are, is one that we share with the rest of the human race. It has to do with being versus doing. And it has todo with knowing, worshiping, and living with Our Creator, the One who made us. Knowing Who created us, and standing in right relationship with Him is part of living life to the fullest! 2. The second stage of our personal mission here on earth is as follows: to do what you can, moment by moment, day by day, step by step, to make this world a better place, following the leading and guidance of God’s Spirit within you and around you. In stage 2, doing comes out of being. Again, this part of our mission is shared with all human beings. We want to spread more gratitude, more kindness, and more forgiveness to each person around us. Just as a stone thrown into a pond does not always know where it’s ripples will extend, and what those ripples will touch, so you and I do not know how our random acts of kindness may profoundly change a person’s life around us for the better! It is in the ordinary, day to day moments, that some of our most powerful acts will be performed, if we are living out this part of our mission. 3 Once we have understood, committed to, and are practicing Stages One and Two of our personal mission, we come to the third stage of our personal mission here on earth. The third stage of your mission, unlike the first two stages, is uniquely yours and uniquely mine. There are all different kinds of voices calling you to all different kinds of work, and the problem is to find out which is the voice of God rather than that of society, say, or the supergo, or self-interest. By and large, a good rule for finding out is this: the kind of work God usually calls you to is the kind of work a) that you need most to do and b) the world most needs to have done. If you really get a kick out of your work, you’ve presumably met requirement a), but if your work is writing TV deodorant commercials, the chances are you’ve missed requirement b). On the other hand, if your work is being a doctor in a leper colongy, you have probably met b), but if most of the time you’re bored and depressed by it, the chances are you haven’t only bypassed a) but probably arent’ helping your patients much either. Neither the hair shirt nor the soft birth will do. The place God calls you to is the place where your deep gladness and the world’s deep hunger meet. They may have gotten very comfortable with the first two stages of their mission, which could have been lived out in the comfort of their Hobbit Hole. But, then Gandalf came, called them to an Adventure, and they said Yes, and their lives were never again the same. I believe that you and I each yearn to do that which we were created to do, and to be that which our Creator made us to be. Sometimes, it may be as simple as meditating and praying, or performing an act of kindness. But it will also require some self-exploration, some goal setting, and casting a vision that’s bigger than your current circumstances and possibly self-limiting patterns of thinking. There is work out there that the world is hungry to receive, and that you are eager to perform. It’s up to you to find it! And that will the the subject of a future post! God I love that movie, can’t wait for The Hobbitt to be released. Anyway, life was meant to be an adventure for us, a journey so to speak. Comfort is important but growth and contribution trumps comfort. Justin, I did not know that the Hobbit is about to released. I’m looking forward to seeing it when it does come out. Learning to tolerate discomfort is a definite success factor. I believe that they are about to start filming in New Zealand soon. Many of the actors fro LOTR will be in it. Thanks for the update, Justin. God brings us exactly what we need when we need it. Reading your post this evening I realized for most of my life I was wandering in my own desert looking for my own personal mission. A few months ago, I was able to define my mission and discover it was within me the whole time. Your article confirmed that what I had defines was, in fact, my personal mission. My mission is to be a steward of Gods goodness and mercy,open to give, for all people brought into my life. My personal mission is reflected in my business mission, to be a steward of Light and Love for seizure patients and caregivers. I appreciate your well written post and look forward to many more. Thank you for offering this opportunity to get to know you even better through your website. Tonya, what a beautiful mission! You can see how powerful it is when we have a mission and a cause that’s in sync with out talents and abilities, and for a cause that extends way beyond ourselves 🙂 Thanks for your comment! So good for your, Tonya, to find your mission. As Rick Warren says in his book “Purpose driven life” our mission in life should start from the though that we don’t live for ourselves. Life is all about seeing how you can make your vision become reality. When they become reality it is time to expand the vision! I appreciate your article! Sometimes I think it is a challenge to find our place in this world. And I do believe it changes as we journey through life. And that is a good thing because then we don’t get bored, but are learning new things and growing within our soul. 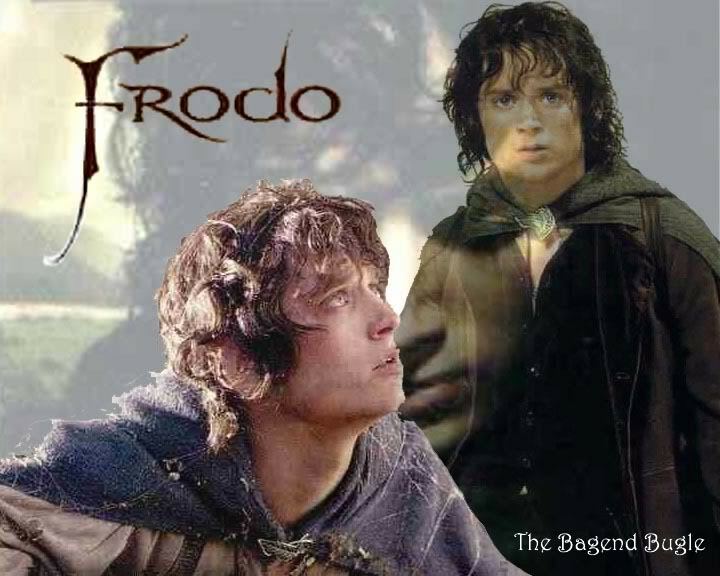 I love the comparison of Bilbo and Frodo. They were like Winnie the Pooh and Piglet or like Dorothy and Toto. All of them called to their adventures, each adventure is different. It what Joseph Campbell called the Hero’s Journey. Maybe the question should be how do we dig out our Personal Mission Statement instead of How to Create it. It already exists we just have to flesh it out. Great post, great information. What a powerful post about our true mission in this lifetime. As a Spiritual Relationship Expert helping men and women heal through love, I have applied those 3 missions to the creation of long lasting, mutually fulfilling love relationships. Thank you for teaching us all about the powerful meaning and purpose for our lives. Dr. Erica, I’m so honored to be associated with you! You have a beautiful mission, and I know that all those people you touch benefit from it. Thank you for sharing those three missions in your own life. We are all benefiting from it! Most of us are really comfortable with where we are and sometimes we really don’t want to change… cause what good is change if would feel discomfort. My personal motto is that: Service to others. I’ve learned this that we don’t really have any purpose but then, if we just give service and love to others we bring meaning to the things we do and the people we interact with. Marco, thank you for your comment. I’m glad that I got to post your favorite song 🙂 Service is a great way to approach any business! I also love that movie. Life is an adventure for us to discover.Don’t give up anything when you face to difficulties and learn how to solve this. Just like the heroes in the movies with a mission we all have personal missions in life its just that I think some make greater impacts in the lives of other people. The role of becoming good parents is also a mission so I feel that it means different to different people though the satisfaction derived is the same. Hey Stephen. I’ve had a similar experience through the years of trying to figure out what to do with my life to feel like I’m living it and making a difference. I am almost 40 and I do believe I have found my answer, which was to find what i really love doing and go after it, even if it’s really difficult to break away from what I was previously involved in. Susan, thanks for the comment. So, what is it that you really love and are now involved in?